Although the release of Attorney General Bill Barr’s report on Special Prosecutor Robert Mueller has appeared to take the wind out of the sails of most Democrats and their news media water-carriers — except for a few mendacious politicians such as Reps. Maxine Waters, Rep. Adam Schiff, Sen. Chuck Schumer and other holdouts — some GOP lawmakers and activists aren’t about to forget how the Democrats put the Trump Administration through an out-and-out conspiracy. For example, on Wednesday, Rep. Devin Nunes, R-California — who served as chairman of the House Intelligence Committee until the Democrats managed to become the House majority — told broadcast and print news reporters that he referred at least eight suspects to be investigated by the U.S. Justice Department. He stated that the referral calls for the prosecution of suspects on a wide array of charges relating to the collusion hoax and other, similar matters such as the failure to conduct a “real” investigation of former presidential candidate Hillary Clinton and her shenanigans as the Obama Secretary of State. A number of law enforcement officers from across the nation are hoping that Nunes will follow-through with his decision. It would be the first step taken by the usually milquetoast lawmakers in both Houses of Congress towards exposing the Democrats, the news media and the anti-Trump Republicans (such as the late Sen. John McCain) who have conducted what’s labeled a bogus investigation of President Trump for working with Russian officials to sabotage Hillary Clinton in the 2016 election cycle. 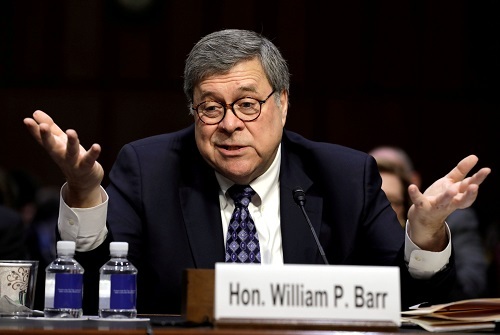 The new U.S. Attorney General William Barr testified before Congress on Tuesday and Wednesday. “After enduring the leaks and allegations emanating from the Mueller investigation, the Democratic Party and their cohorts at CNN, MSNBC, New York Times, etc. have hit a dead end. President was finally exonerated of all crimes and misconduct, and Rep. Nunes wants to make certain the people responsible for perpetrating this witch hunt are brought to justice,” said former police detective and military intelligence operative Sidney Franes. “We are talking about some very powerful people who ran federal law enforcement agencies (FBI, ATF), upper-echelon intelligence community members at the CIA, NSA, ODNI (Office of the Director of National Intelligence) and others, Franes told the Conservative Base. While Rep. Nunes is sure to be mocked, ridiculed and chastised for his stance, he admitted that he already had sent his referrals which have been waiting in Congress’ wings for some time. So now that Mueller’s tainted and biased investigation is over Nunes feels the time is right to not only punish conspirators but to also expose how corrupt the “Swamp” has become. “We’re prepared this week to notify the attorney general that [we’re sending] those referrals over,” Nunes said. “First of all, all of these are classified or sensitive. Five of them are what I would call straight up referrals — so just referrals that name someone and name the specific crimes. Those crimes are lying to Congress, misleading Congress, leaking classified information. So five of them are those types,” he said. “There are three that are more complicated,” Nunes also said. “So the question on conspiracy is what they need to look at under that statute. 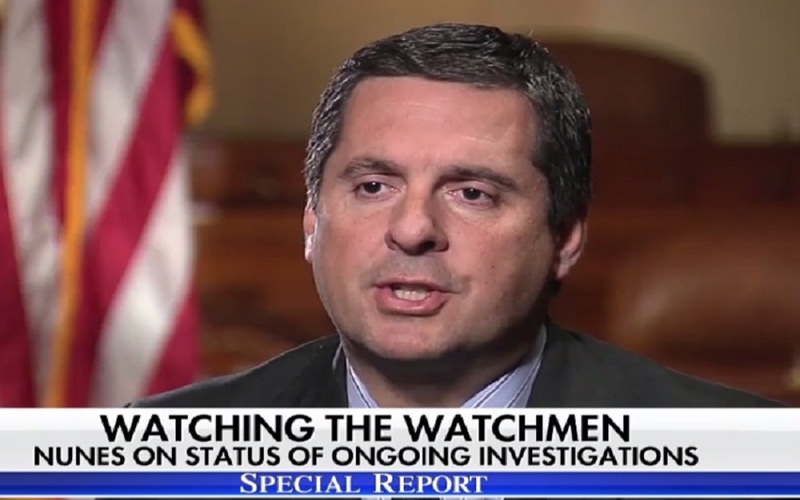 So on the first one, is FISA abuse and other matters we believe there is a conspiracy to lie to the FISA Court, mislead the FISA court by numerous individuals that all need to be investigative and looked at.” Nunes and many others believe the FBI and Justice Department knowingly used an unsubstantiated “dossier” to garner search warrants. 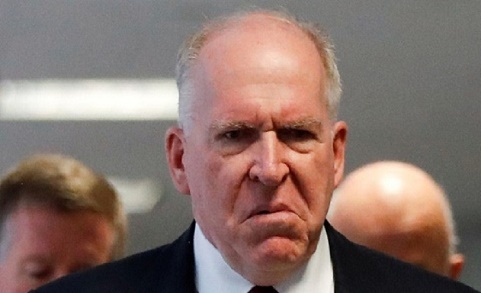 John Brennan was arguably the worst and most dangerous CIA director in that agency’s history. Hopefully he will be indicted by a grand jury. One former expert in government and political corruption investigation noted that already Obama’s thugs have been scurrying like rats from the moment the Mueller report proved nothing. Now the other shoe is about to drop, and anyone who broke the law to spy on Trump’s campaign, mislead the courts, or otherwise perpetrate this hoax on the American people is going to pay for their crimes. Nunes claims that McClatchy’s reporters should come clean with the American people and publish a retraction of their “fake news” reports. One such story which was published in 2018 claimed he invested in the Alpha Omega Winery. When McClatchy editors realized it was a bogus allegation, they “scrubbed it” from the Internet. Nunes told the Hannity audience that he will file more legal challenges.